Born: Long Beach, California on December 1, 1949. 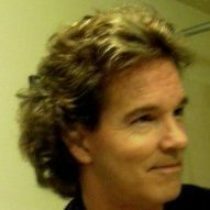 My Son (Scott Wainner) is also a “creative” person as he has created several very successful Web Sites. Including “Resellerratings.com”, that he sold to “Answers.com” (in 2012) for $34 million. His newest Web Site is called “Fareness.com” which deals with great airfare deals in the U.S. and Internationally. Self-Employed – since 1991.- NOTE: I was 59-1/2 when my Profile photo was taken. My Father – Jim Wainner – Graphic Designer. (All of my Junior HS, High School & University Instructors/Professors…who taught me Architectural Drafting, Graphic Design, Color Rendering, Sketching & Landscape Architectural Design).